I am so excited to be sharing today on Jordan’s Easy Entertaining! 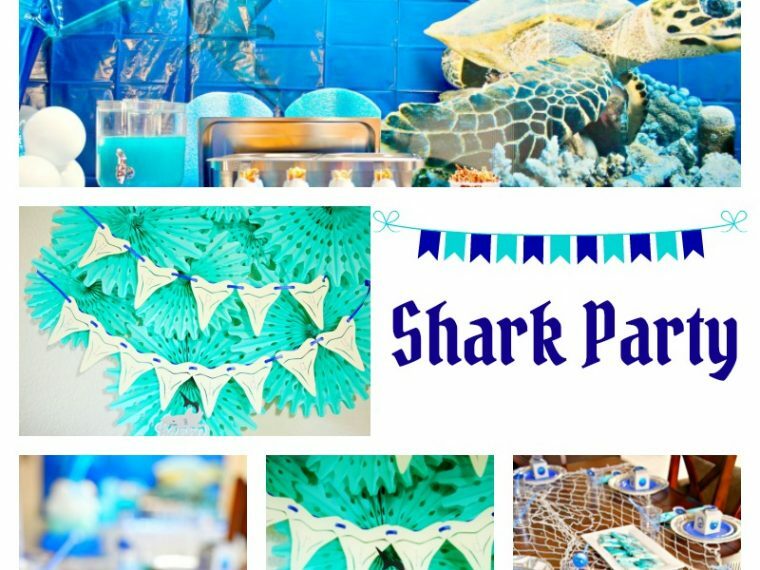 I am Anna from Pratical and Pretty and have been a huge fan of this blog for a long time so I’m really excited to share this banner with you as part of the Under the Sea party Jordan is putting together! 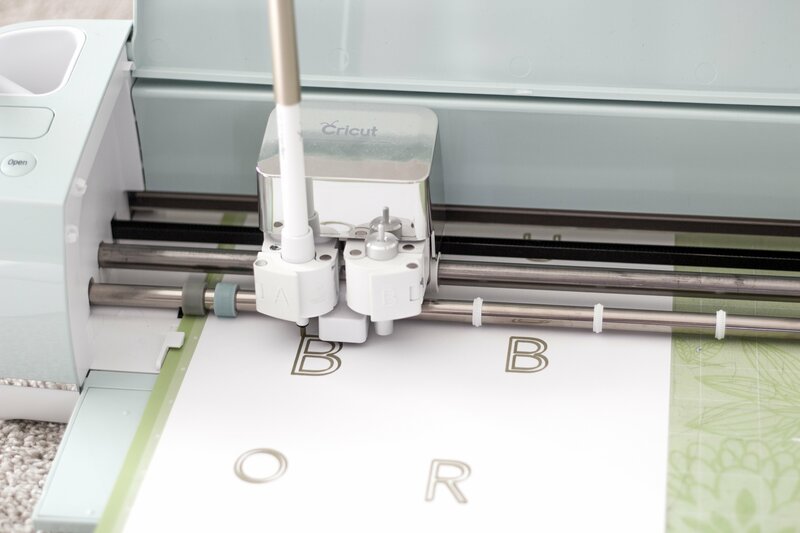 If you don’t have a Cricut I think its’ time you get yourself one (even if it’s just to complete this project)! I’ve never made a banner before but Design Space made it super simple to whip this together! I loved the idea of creating fake little bubbles for this banner! 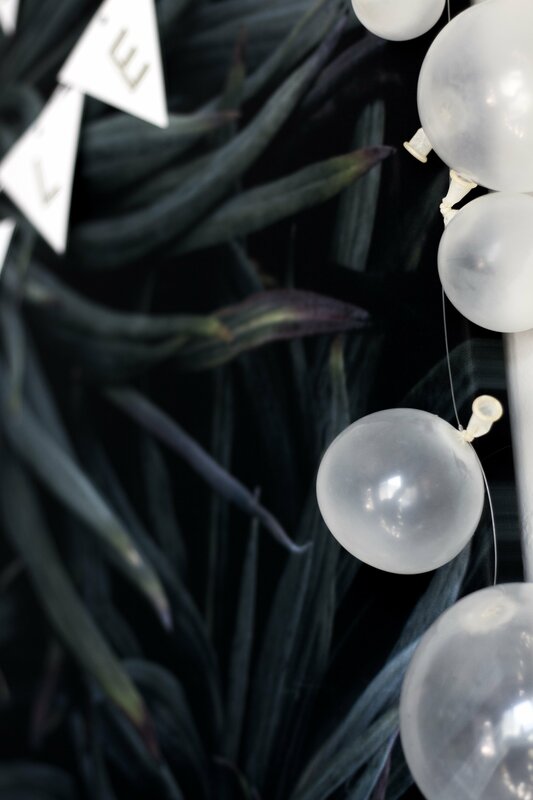 I think after the Christmas season I’ll grab some clear ornaments to make faux bubbles for another project but these clear balloons are fun because you can make them of variable sizes. I started by creating a file of little triangles for the banner. This file will make it really simple for you just click the link and load your paper and pen. I thought about cutting out the letters but decided writing the words with a gold pen would be a little bit more visible to the party goers. 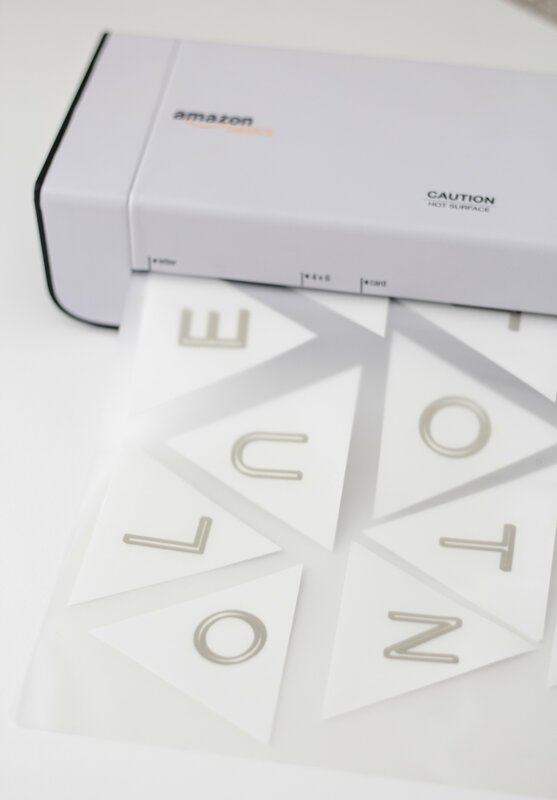 At this point you can laminate your pieces if you wish. 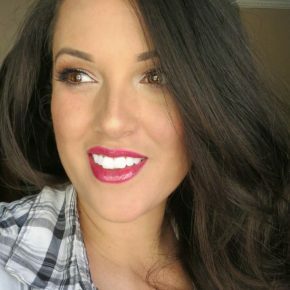 I love that Jordan picked this theme because you could use it for any life event! Next you will hole punch a hole at the top of each triangle and string each one on a string. I used embroidery thread but really any string will work! Next I blew up the balloons in variable sizes and tied them together with some fishing line. You could just continue the same string from the banner but I liked the look of them floating a lot! Next, attach the bubbles to the banner. Now you're finished! 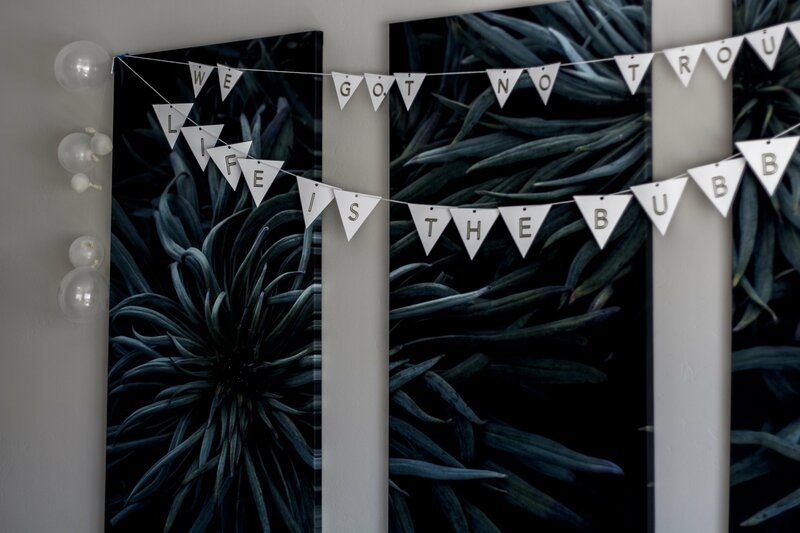 This was a really easy banner to whip together and you could use it for birthdays, baby showers, bridal showers, hey you could even use it for Shark Week!! 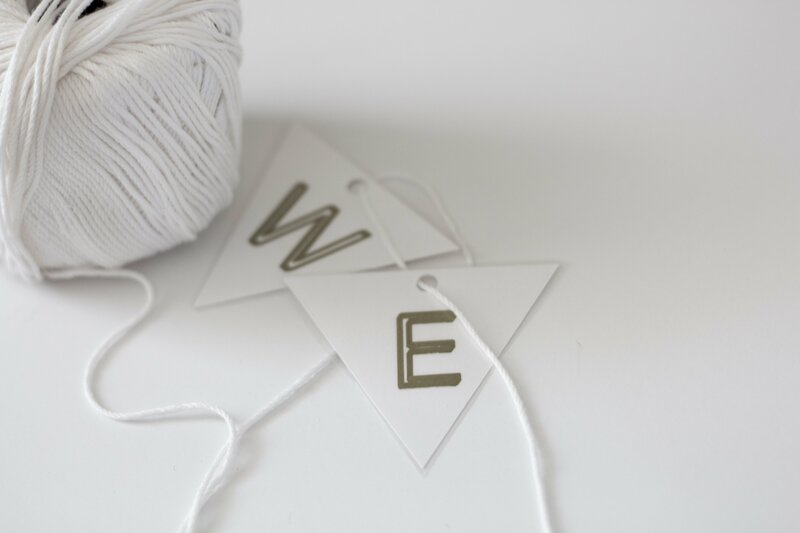 If you liked this post I hope you’ll check out my blog for more DIYs and tutorials. I really love creating Cricut projects like these bookmarks, and this mousepad I made out of leather and clay. Hope to be back with you again!